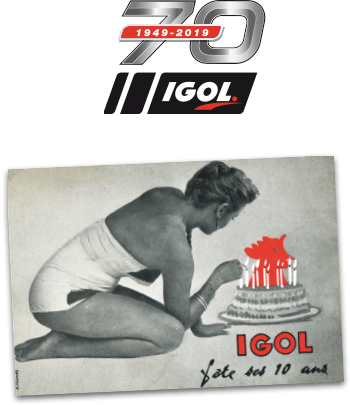 In 1949, IGOL was already heavily involved in the technical and industrial developments through which France was going at the time. IGOL was already concerned with the performance of its lubricants, paying particular attention to its manufacturing process, which to this day guarantees the reliability of all our lubricants aimed at all sectors of activity. 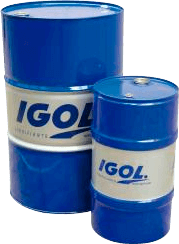 IGOL lubricants are vital fluids for all moving components and equipment, which are formulated and manufactured in France in service of all applications. Nowadays, oil changes are a genuinely technical procedure. Changing standards which vary from one type of equipment to another, from one engine to another, from one car brand to another, call for constant vigilance in order to remain strictly in line with the manufacturers’ requirements, and to contribute to optimal equipment operation by using the recommended lubricant. IGOL’s challenge for the future is to continue to find appropriate solutions. More than ever, upholding the manufacturers’ guarantees is a priority for IGOL. That is why our on-line recommendations service is available on the site igol.com.